Saturday, October 27 from 9:45am- 3:30pm: Cost is $20. Godly Play is a creative approach to nurturing children’s faith. It values process, openness, discovery, community and relationships. It supports children in being more fully aware of the mystery of God’s presence in their lives. Experience a full Godly Play session and explore the Godly Play method. Explore a Godly Play space. Discuss how to adapt Godly Play principles for use with Sunday School, in children’s stories, worship, and pastoral care. This day is open to all whether you are a leader or parent or you just love hearing stories. Cost is $20 and please bring your lunch. Tea/coffee provided. 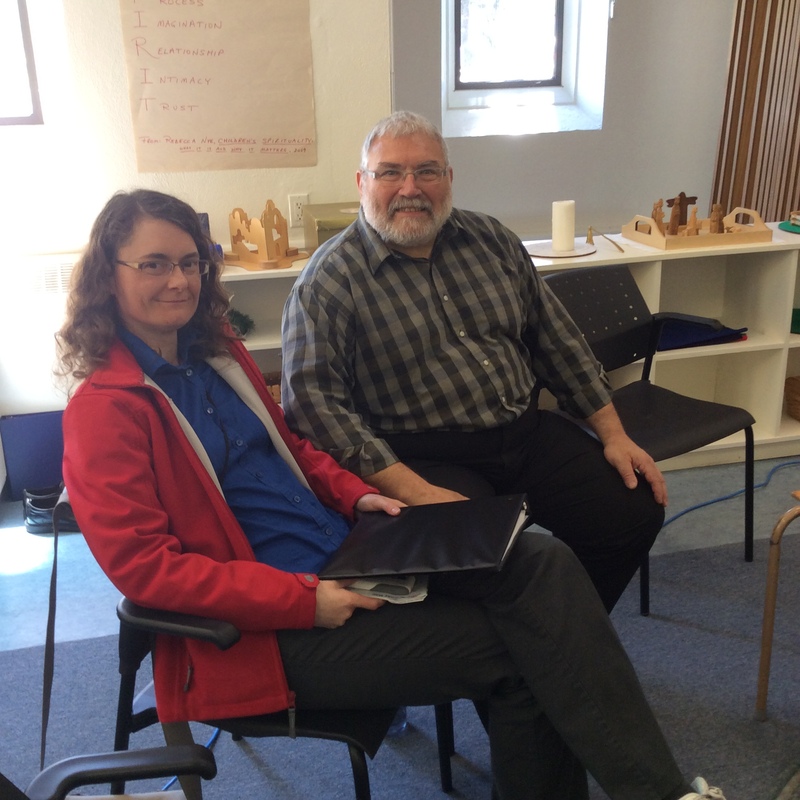 Congratulations to this group who trained at Nashwaaksis United Church, NB. Mora is an elementary School Counselor and Godly Play Canada Storyteller at Sackville United Church, Sackville New Brunswick. She wrote this story when her church decided to sponsor a Refugee family to help children understand who a refugee is and consider how God might want us to live with refugees. Script is written. Movements are in brackets. Congratulations to Nigel Weaver and Cathy Laskey! They recently travelled to Toronto for Godly Play Training of Trainers. We welcome them and look forward to their continued leadership in Godly Play. Categories: Uncategorized | Tags: Training | Permalink. We completed training in April 2016. We will announce new Core Training dates in the future. If you are interested in taking Core Training, please contact our Registrar. This will help determine the next location. Email Fay Cameron, Godly Play Maritime Registrar. Categories: Registration Form | Permalink.